NVS Skill Test Result 2018 Check Here. NVS Various Posts Result 2018. Download Skill Test Admit Card for Old Candidates. Download Skill Test Admit Card for New Candidates. NVS Noida Notification is out. NVS Noida is recruiting for 683 Non Teaching Various Posts 2018 Skill Test Posts. 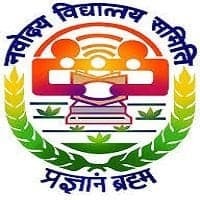 You can check NVS Noida - Navodaya Vidhyalaya Samiti Chandigarh last date, download NVS Noida notification, visit NVS Noida official website and check other NVS Noida Vacancy details.Complete Vacancy and recruitment Details about 683 Non Teaching Various Posts 2018 Skill Test vacancies in NVS Noida are provided below by JobSarkari.Com only for you. For Candidates Applying Fresh Form Staff Nurse, Audit Assistant, Hindi Translator: Rs.1000/- Catering Assistant, Stenographer: Rs. 750/- Lower Division Clerk/ Storekeeper: Rs. 750/- Lab Attendant: Rs. 750/- SC / ST / PH / Ex. Servicemen – No Fees.. Selection May be Based on. 1. Computer Based Test (CBT) 2.Merit List Will be Based on CBT Performance. 4. Stenographer & LDC / Storekeeper post, candidates shortlisted against CBT will be called for Skill Test. 1.The Candidates can apply through Online mode. 2. Online Registration will Start From 12/11/2017. 3.Click on the Registration link Given On Our Page in important Link Section. 4.Sign up By Selecting Post From Drop-down List,Enter your Name, Mobile No, Email-id And Submit the Form. 5.After Registration Log In and Fill Up Your Application Form, Provide All The Details Required To Proceed ,Upload Scanned Copies Of Photograph, Signature And Certificates. 6.After Completion Of Stage II Candidates Are Required To Make Payment. 7. Kindly make the online payment via credit or debit card or Internet Banking and retained the transaction number for future reference. 8.Take Print out of your Application for future Reference. 9. For Any Other Help Please Contact the help desk at Email: nvshelpdesk.2017@gmail.com Or Phone No . :18002663103 from 10AM to 5PM. 3.Online application will be available till 13th December, 2017. Download Notification – Click Here. Apply Online – Registration Download Scheme – Click Here Official Website – Click Here. Q. What is the Last Date For NVS Noida Non Teaching Various Posts 2018 Skill Test Vacancy ? A. Last Date for NVS Noida Non Teaching Various Posts 2018 Skill Test Posts is 13/12/2017. Q. What is the Form Type of NVS Noida Non Teaching Various Posts 2018 Skill Test Recruitment ? A. The Form Type for NVS Noida Non Teaching Various Posts 2018 Skill Test Posts is Online. Q. How many vacancies are available in Navodaya Vidhyalaya Samiti Chandigarh Non Teaching Various Posts 2018 Skill Test Posts ? A. There are about 700 Vacancies in Navodaya Vidhyalaya Samiti Chandigarh Non Teaching Various Posts 2018 Skill Test Posts. Q. What is the Full Form of NVS Noida ? A. Full Form of NVS Noida is Navodaya Vidhyalaya Samiti Chandigarh .